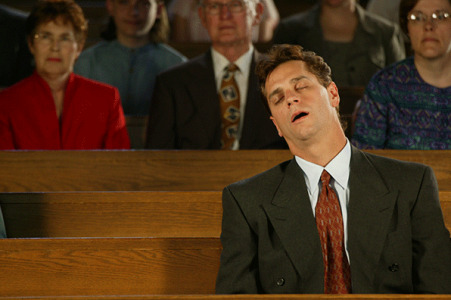 All of these sleep techniques work quite well if one is to be on the platform such as the Elder, Deacon, etc. I know from experience!! Woe is me!! Pay attention to the sermon!! Use some object to keep the eyelids open!! And if you have trouble nodding off, just try paying really close attention to the sermon for as long as you can . . . works every time.